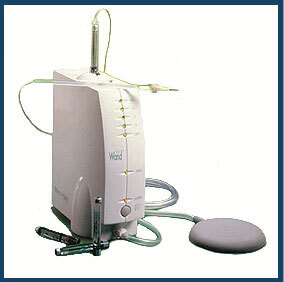 Comfortable dentistry, in Concord CA, with the Dental Wand - Pain Free Injections! The Wand™ is the high-tech delivery system for single tooth anesthesia Prior to the Wand's introduction, the syringe, a 150-year-old technology, was the primary method of delivering anesthesia. The Wand is so much more comfortable, it doesn't just feel better in process, any anxiety you might experience over treatment that needs anesthetic just fades away! Our patients almost always say, "I didn't feel a thing!" You no longer have to be fearful or anxious of the traditional dental needle when you visit our office. Call our office at (925) 685-3043 to hear more about how The Wand™ can make your dental visit comfortable and relaxed.